Below you will find the investment reports for Mt. Evans BOCES for the current and last fiscal years. 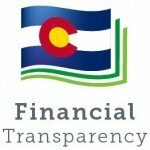 2015 – 1 Colorado Trust Jan.
2014 – 12 Colorado Trust Dec.
2014 – 11 Colorado Trust Nov.
2014 – 10 Colorado Trust Oct.
2014 – 9 Colo Trust Sept.